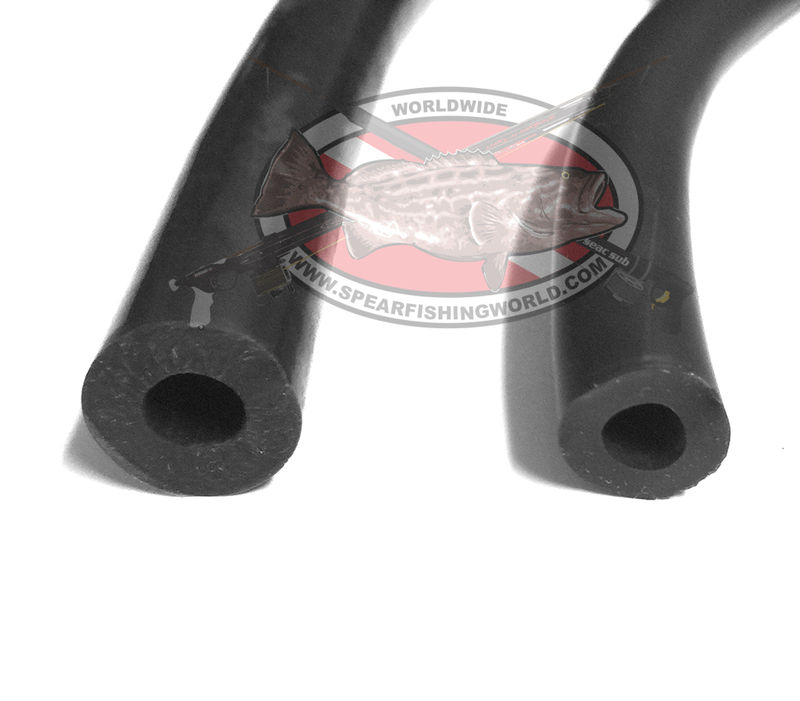 Highest-quality, natural rubber latex tubing for Slings and Pole Spears. Made in the USA. Natural Latex Rubber Tubing made by PRIMELINE'S "Continuous Dip Process" creates a superior natural latex rubber tubing. The physical properties are better, the quality higher and the colors more vibrant than product manufactured from dry natural or synthetic materials. In addition, Primeline's tubing has only 50 micrograms or less of water extractable protein per gram. This is important since proteins in natural rubber can cause severe allergic reactions in those individuals who are allergic to the types of protein found in natural rubber. This is known as the "latex allergy". No other rubber tubing can claim to have lower protein levels. Click the button below to add the Primeline Black Bulk Latex Rubber for Slings and Polespears to your wish list.